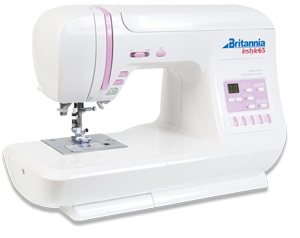 Would you like to use your Britannia sewing machine to its full potential? On this class you will get a great insight into the potential you machine has to offer. Bring your Britannia machine with you to this class to understand how to get the best from this amazing range of machines. You will learn how to use the different feet and the different stitches for utility and fun, you should, by the end of the day, have made a wonderful item of sewing room storage for you to keep. We will supply all fabric and notions for this class. You will go away from this class feeling confident to do anything on your Britannia! Please let us know, when booking, which Britannia model you are bringing along to the class.